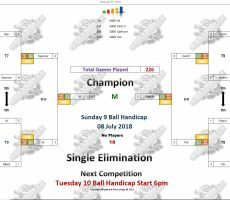 SUNDAY 9 BALL – 8th JULY : M WINS. 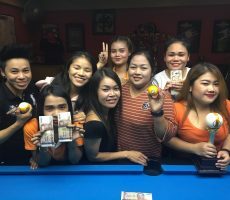 Last night’s 9 Ball Competition saw victory for the girls, with one of our staff members claiming victory. 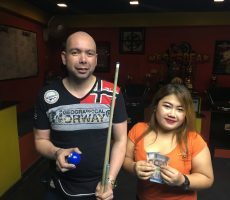 “M” Gedsara Kaeosinual took advantage of her day off work, playing superbly all night long to win five straight matches and pocket the 1st Prize of 4000 baht. Playing in just her 4th tournament here, she defeated new player, Kent Hansen from Norway in the final by 4 racks to 3 (race 4-8), and her handicap now moves up to A+3 as a result. 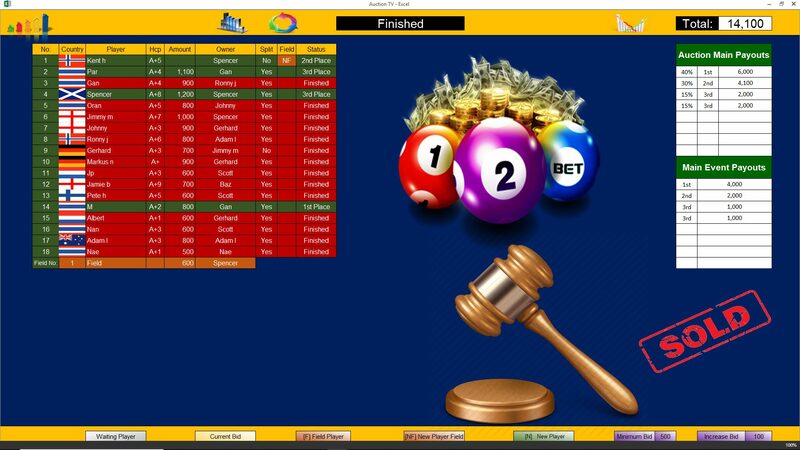 Kent lost his first match of the evening, before raising his game to reach the final, and collected 2000 baht in 2nd place. 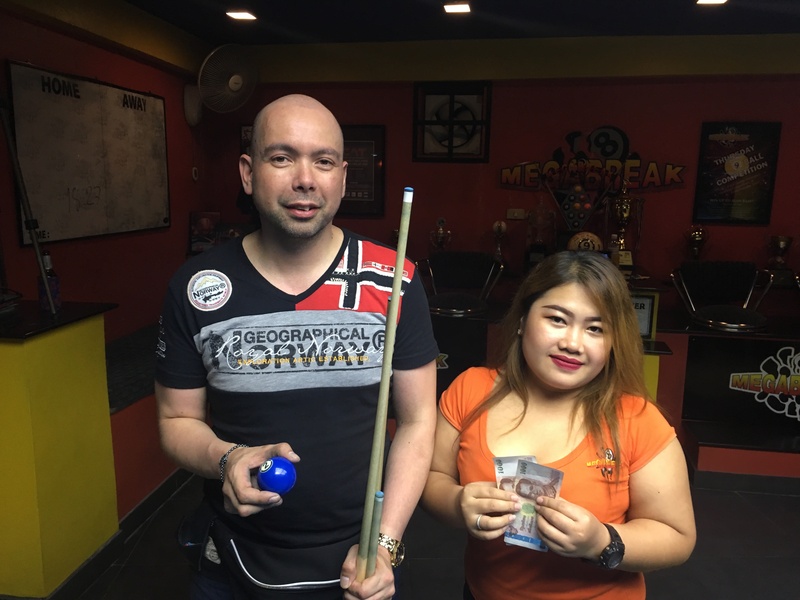 The other money winners on the evening were Spencer Henderson from Scotland, and M’s fellow staff member Par Radardow Inamka, who each received 1000 baht for reaching the semi-finals. Champion : M (A+2) – 4000 baht. 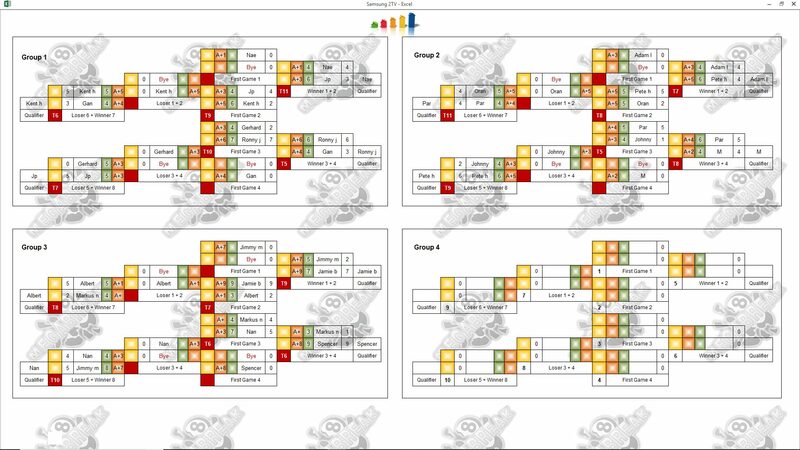 Runner-Up : Kent (A+6) – 2000 baht. 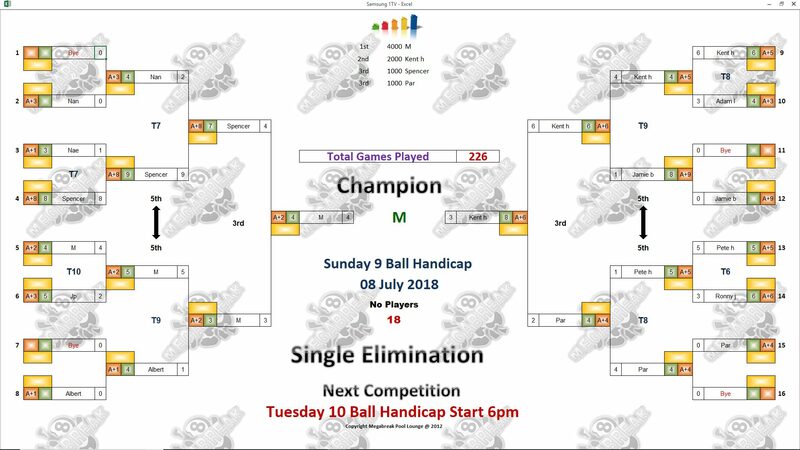 Semi-finals : Spencer (A+8) and Par (A+4) – 1000 baht. Another of our staff Gan Kanchana Chinboot made it a successful night for the girls by winning the Player Auction. 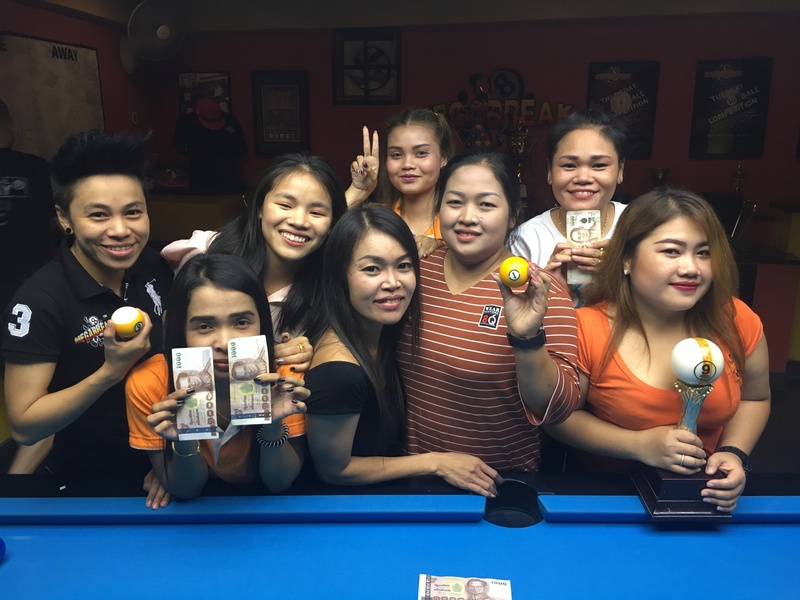 The Prize Fund totalled 14100 baht, with Gan buying M for 800, and they shared the 1st Payout of 6000. 1st (40%) : Gan (M) – 6000 baht. 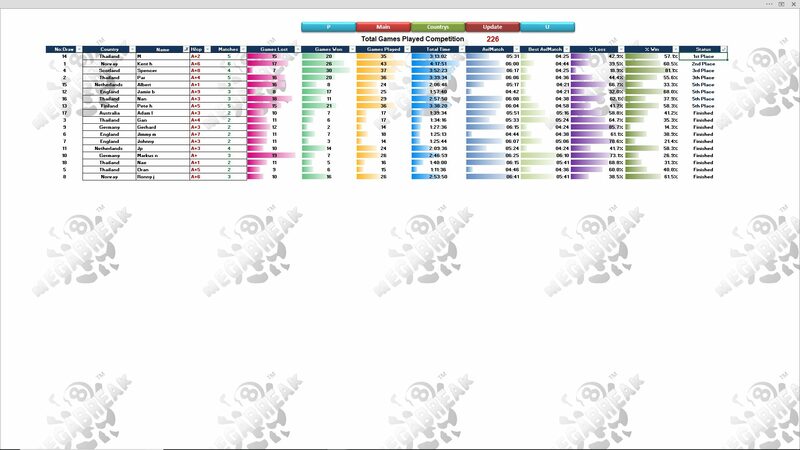 2nd (30%) : Spencer (Kent) – 4100 baht. Equal 3rd : Spencer (Himself) and Gan (Par) – 2000 baht each.